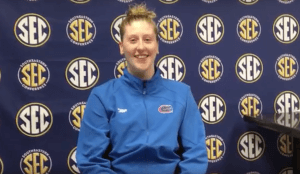 Florida senior diver Kahlia Warner talks through her big SEC victory in the 3 meter event last night. No, this isn’t quite a Buzzfeed post. At least not until we get 22 more Kyle Darmody gifs to stick together in one post. But it is a cool look at one of the nation’s best swimmers taking time to engage with a young fan just moments before one of the bigger races of his career. The Georgia women won their 6th-straight SEC Women’s Swimming & Diving Championship on Saturday in Auburn, Alabama. Kentucky’s Danielle Galyer threw her name into the mix in perhaps the NCAA’s most insanely deep event, the 200 backstroke. Alabama’s Kristian Gkolomeev moves up to #1 in the NCAA with his blazing 41.68 to win the SEC 100 free championship. Caeleb Dressel lowered his 100 free 17-18 NAG record into new territory tonight. Kyle Darmody and Auburn have 6 A finalists to lead all teams on the final night of SECs. Will it be enough to reel in Georgia and Florida? 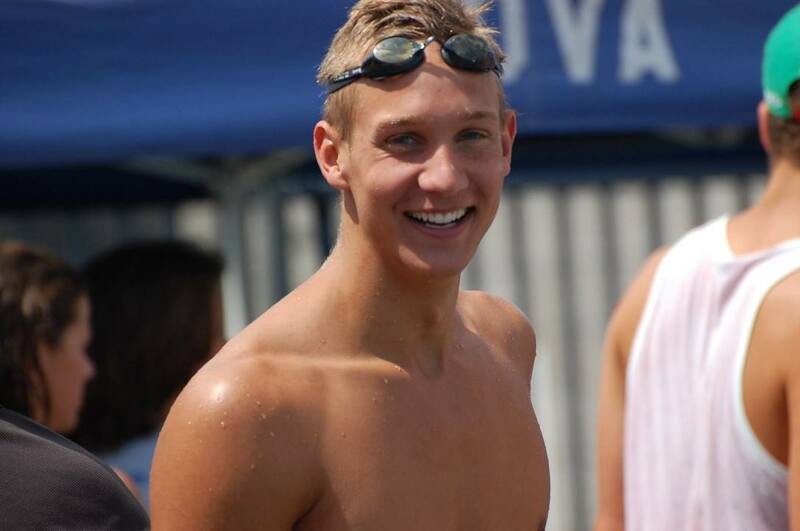 Caeleb Dressel hit a new lifetime-best and broke the 17-18 National Age Group record to lead the 100 freestylers on day 5. 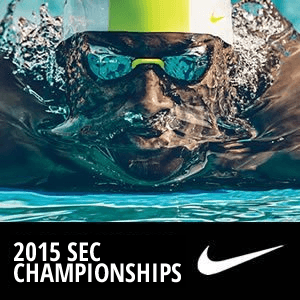 We enter Day 3 of the 2015 SEC Championships looking forward to some significant set-up swims in preparation for a gripping Finals session tonight. The men’s 400 IM will see the likes of racing veterans Dan Wallace (Florida) and Chase Kalisz (Georgia) take on the newer freshman talent of Gunnar Bentz (Georgia), Jay Litherland (Georgia) and Sam McHugh (Tennessee). The women’s 100 fly will be another tight race, with Kentucky senior and USA national teamer Christina Bechtel fending off fierce females, such as Mizzou’s Dani Barbiea and Texas A&M freshman Beryl Gastaldello to try and position herself as the top seed for tonight’s finals. 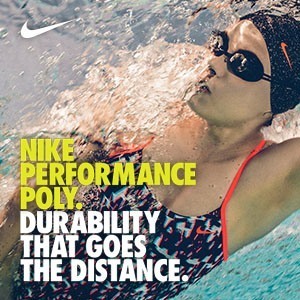 Remember, however, that French national teamer Gastaldello is on fire so far, as she threw down last night’s utterly dirt nasty 22.46 fly split on her team’s 200 medley relay, which is, by most all accounts, the fastest fly split in history. Last night’s 50 freestyle runner-up, Caeleb Dressel, leads the men’s 100 fly field with the number one seed going into prelims, but he has Auburn junior Arthur Mendes in hot pursuit. Mizzou’s Michael Chadwick and Georgia’s Jordan Mattern are the top seeds in the men’s and women’s 200 freestyle, respectively, but face stacked fields all looking to claim a spot in the Finals and help edge their teams to the top of the scoreboard. The names within top 8 in the men’s 400 IM aren’t necessarily surprising, however, the order of those names may be to some. As expected, the Georgia 400 IM dominator that is junior Chase Kalisz topped the prelims with his time of 3:41.31, but Tennessee freshman Sam McHugh was only .01 behind. McHugh’s 3:41.32 crushed not only his seed time (3:44.63), but also beat the current Tennessee school record by almost three seconds….HUGE swim from this Vol this morning. Florida sends four men to the A-Final tonight, with Carlos Omana, Matt Elliott, Mark Szaranek and Dan Wallace all capable of raking in some major points for the Gators. Gunnar Bentz and Jay Litherland from Georgia, with their respective times of 3:42.73 and 3:41.52 rounded out the top 8. The times of Kalisz, McHugh and Omana all cleared the NCAA “A” cut. Swift times were prolific in the women’s 400 IM prelims, which were led by Georgia junior Hali Flickinger. Flickinger threw down a 4:07.60 to earn the top seed just three tenths ahead of a charging Sarah Henry from Texas A&M (4:07.93). Tennessee junior Amanda Carner is lighting the Vol record book aflame, as she has broken her second school record in as many days. Carner’s 4:08.37 from this morning now sits as the fastest 400 IM in Vols’ history. Florida’s Jess Thielmann is right in the mix, with her 4:09.10 from prelims, which is just a skosh faster than her 4:09.64 seed time. Three Georgia women fill out the next three slots with Annie Zhu finishing 5th (4:09.24), Amber McDermott finishing 6th (4:09.35) and Emily Cameron placing 7th (4:10.28). Mizzou slips a finalist in there as well, with Sharli Brady clocking a 4:11.76 for the 8th seed after prelims. Waves of speed crashed into the wall throughout all the heats of the fly sprint this morning, where we saw Florida freshman Caeleb Dressel blast out the 5th fastest time in his school’s history – 45.41 – for the top seed. 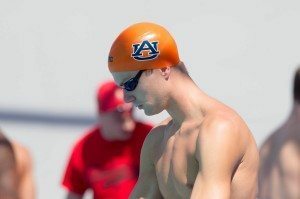 Dressel was the only automatic qualifier coming out of this morning’s heats, but junior Auburn Tiger Arthur Mendes also dipped under the 46-mark with the nation’s third best time of the year at 45.92. This time also ranks Mendes into the 7th fastest in Auburn history, as well as earns him a new Brazilian record in the 100-yard fly. He overtakes the previous 46.07 time set by Alexandre Fernandes from last year’s Texas Invite. 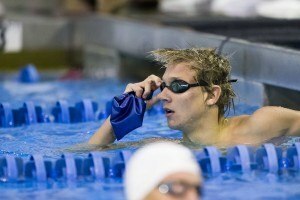 LSU senior Frank Greeff dropped major time to finish in a personal best of 46.11 to position him in 3rd after prelims. Greeff is joined by Tiger teammate Alex Linge who posted a personal best of his own, earning the 8th spot in the A-Final in a time of 46.49. 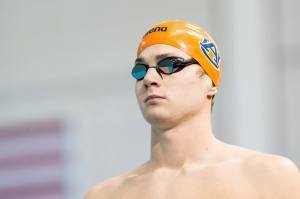 Florida Gators Christian Homer and Jack Blyzinskyj earned the 4th and 5th spots after prelims, as they each clocked impressive times to put them in the Florida program’s history books. Homer finished in 46.14 for 5th-fastest in Florida history, while Blyzinskyj touched in 46.23 for 6th-fastest. Alabama’s Brett Walsh (46.25) and Tennessee’s Jacob Thulin (46.38) represent positions six and seven after prelims this morning. As expected, Kentucky senior standout Christina Bechtel tore up the field, claiming the top seed in an NCAA automatic qualifying time of 51.53. But, also as expected, red hot Beryl Gastaldello, coming off of her wicked 50 fly medley relay split last night, is right on Bechtel’s heels, qualifying just behind in 52.01. Tying Gastaldello was Georgia senior Laura Harrington, who shaved just a few hundredths off her seed time. Bechtel now owns the nation’s #2 and #5 top times in this event, with Gastaldello’s morning swim ranking her 7th overall in the NCAA. Florida junior Natalie Hinds dropped a speedy 52.36 to earn her the 4th seed, followed closely by LSU senior Amber Carter‘s 52.43. Hinds’ best time thus far this season was the 52.92 she registered against Tennessee last month. Georgia freshman Kylie Stewart clocked a 52.67 to earn her the 6th spot in the A-Final, followed by another Kentucky swimmer Abby Myers (52.70). The eighth and final spot was earned via a swim-off between LSU’s Kara Kopcso and Georgia’s Courtney Weaver, with Kopcso winning the head-to-head duel in a career-best 52.42. This year’s 500 freestyle champion, Gator Mitch D’Arrigo, looked good in this morning’s prelims, clocking a solid 1:33.30, just off his 1:33.10 (converted time) he swam last December. Georgia’s Matias Koski was the only other swimmer this morning to go sub-1:34, with his time of 1:33.69 now tying for 4th-fastest in the NCAA so far this season. Hugo Morris from Auburn swam a stellar 1:34.53 to position him third headed into tonight’s final. Note, however, that Morris already broke his school’s record (1:33.39) in his lead-off leg of the 800 free relay on Wednesday, so he definitely came to play in this 200. Tennessee junior Sean Lehane charged to the wall in a career-best 1:34.75 for 4th seed, followed by Georgia senior Alec Cohen‘s time of 1:35.29 for fifth. South Carolina was able to sneak a swimmer into the A-Final in the form of Marwan El Kamash, who stole heat seven from top seed Michael Chadwick, winning that race in a time of 1:35.29. Top-seed Chadwick (Mizzou) is surprisingly absent from the top 8 of the men’s 200 free; he finished 10th in a time of 1:35.71 and was one of three swimmers who actually tacked time onto their seeds. The other time-gainers were a little luckier, however, as Florida’s Corey Main‘s 1:35.40 (seed time 1:35.17) held on for 7th and his teammate Pawel Werner‘s 1:35.48 (seed time 1:34.79) held on for 8th. Georgia earned the top seed this morning in the women’s 200 free, with senior Jordan Mattern claiming tonight’s middle lane in 1:45.22. Aggie Sarah Gibson will be right next to her, now positioned second with her morning swim of 1:45.49, dropping over a second from her seeded time. Alabama junior Emma Saunders registered a 1:45.90 for third, followed by Aggie senior Lili Ibanez Lopez who blasted a 1:45.94 out of heat 5 (of 8) to blaze her own trail into the finals. Florida’s Amelia Maughan dropped almost a second to slide her into the 4th seed from this morning, followed by another freshman, South Carolina’s Meredith Vay. Vay threw down a personal best of 1:45.98, which now ranks her 2nd in her school’s history. As with her 500 freestyle race, Georgia’s Brittany MacLean was a little off this morning, but ultimately did what she needed to do in order to earn a spot in tonight’s final (1:46.02). Auburn’s Jillian Vitarius set a personal best with a 1:46.07 to round out tonight’s top eight. SEC Network on ESPN is now available on Direct TV. Yes! anyone else streaming it? I turned it on at 10:45 and its diving… guess its a diving break between 4 im and fly? nevermind answered my own question, didn’t get sent to day 3… i’m dumb.